I’ve been using Estée Lauder’s Advanced Night Repair Serum for many years and I think it’s one of the most effective serums from everything I’ve tried so far. It’s definitely worth the money and I recommend it to each and everyone of you ladies and gentlemen. 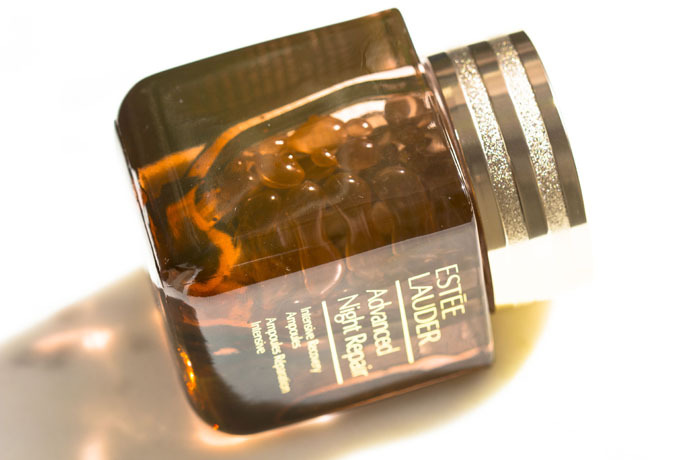 This summer, Estée Lauder launches Advanced Night Repair Intensive Recovery Ampoules, a product inspired by the Korean Skin Care, which promises to be at least as effective as the cult Repair Serum. 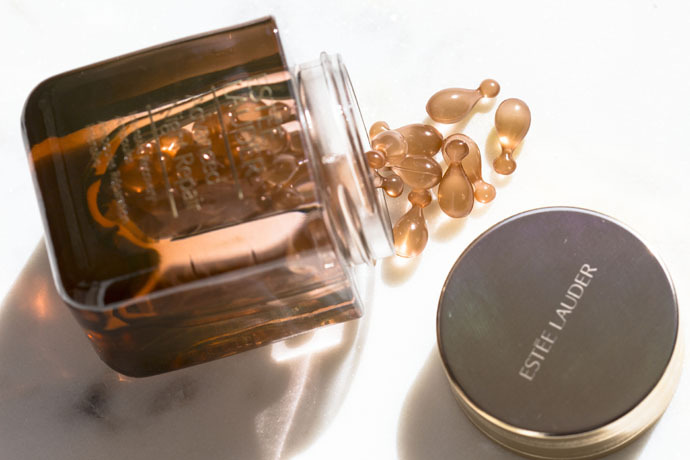 Ampoules are “more intense, potent versions of serums formed with higher concentrations of active ingredients” (source: Eonline) meant to be used for a finite amount of time as a booster or when we are having a skin crisis. 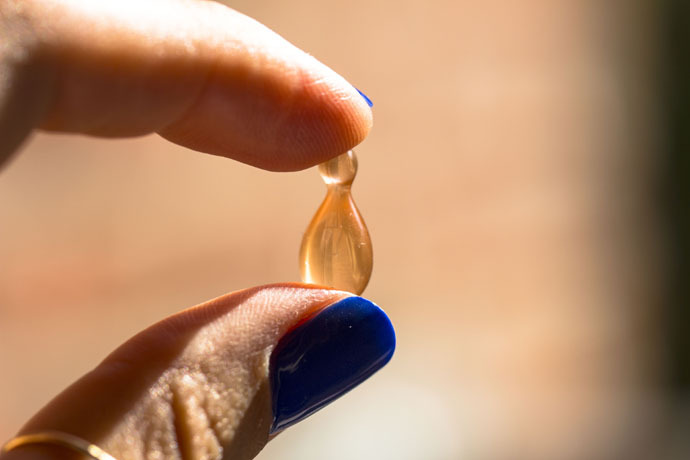 I’ve been lucky enough to receive Advanced Night Repair Intensive Recovery Ampoules at the beginning of August, and now I’m ready to tell you all about it! 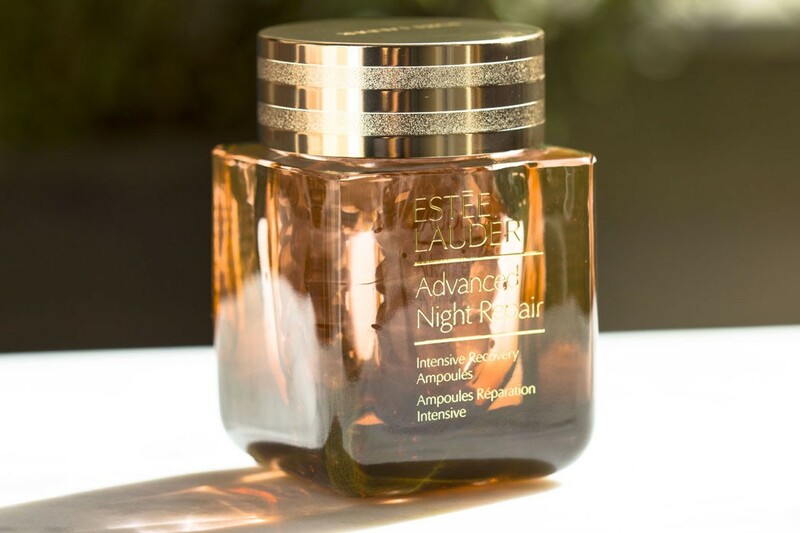 Advanced Night Repair Intensive Recovery Ampoules (€144,82/ 60 ampoules) | First of all, the package is just gorgeous! This glass jar stores 60 small ampoules and the recommendation is to use 1 ampoule/ day. Each ampoule is basically a very concentrated treatment which helps the skin recover from the effects of: travel, pollution, sun exposure, lack of sleep, extreme weather. I had a beautiful and long vacation at the seaside, and I started using Advanced Night Repair Intensive Recovery Ampoules after many days of tanning. I didn’t suffer from any redness or inflammation after my holidays, however I felt the need of some kind of treatment because my fine lines were more evident and my complexion was overall dull and dehydrated. Each ampoule contains a serum-in-oil which is enough for the entire face, neck and décolleté area. 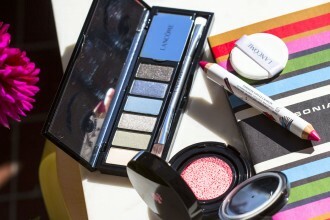 The fragrance resembles the one of the Repair Serum, however it is more discreet. It absorbs very quickly into the epidermis and from the very first use, my skin felt smoother. I use an ampoule every evening after cleansing and without the need of applying a serum or night cream afterwards. 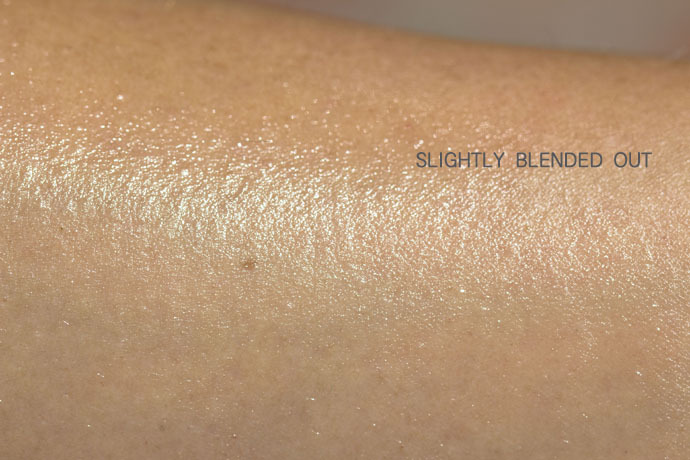 The serum-in-oil has a very light formula which works perfectly for my combination skin. I wake up with refreshed skin that looks plump, has a healthy glow and looks overall super improved: pores are minimised, fine lines are less obvious. Estée Lauder Advanced Night Repair Intensive Recovery Ampoules is a very efficient high quality product; I recommend it to all of you 35+ ladies and gents and for any skin type (even the sensitive ones). For the very dry complexions, the ampoules work great before serum and cream. 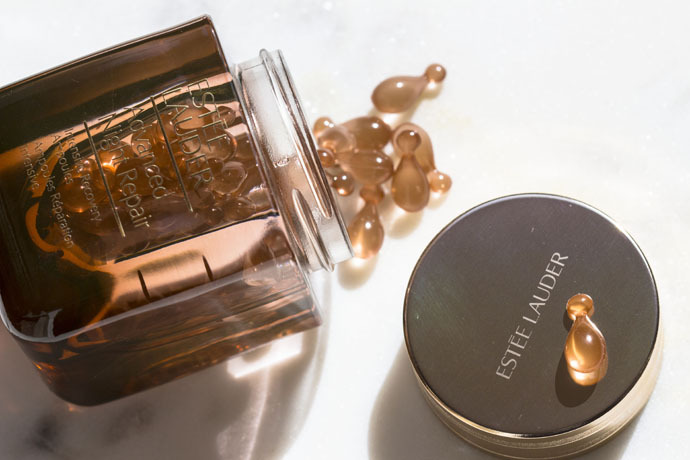 Estée Lauder Advanced Night Repair Intensive Recovery Ampoules can be used as a 60 day treatment or it can be applied as a beauty treatment before an important event just to give the skin a boost. For a more refreshing and a tightening effect, the ampoules can be stored in the fridge! Ingredients: Caprylic/Capric Triglyceride, Squalene, Aleurites Molucanna (Fukui) Nut Oil, Prunus Armeniaca (Apricot) Kernel Oil, Bisabolol, Gardenia Mangostana Peel Extract, Salicornia Herbacea Extract, Magnolia Officials Bark Extract, Salvia Hispanica Seed Extract, Anthemis Nobilis (Chamomile) Flower Extract, Rosmarinus Officials (Rosemary) Leaf Extract, Coffea Arabica (Coffee) Seed Extract, Helianthus Annuus (Sunflower) Seed Oil, Camellia Sativa Seed Oil, Vacinnium Myrtillus Seed Oil, Tocopheryl Acetate, Cholesterol, Linoleic Acid, Tetrahexyldecyl Ascorbate, BHT.